Peter Roberts is Australia’s only music-thanatologist: a specialized musician who marries end of life care with harp and voice performances to serve the needs of the terminally ill. 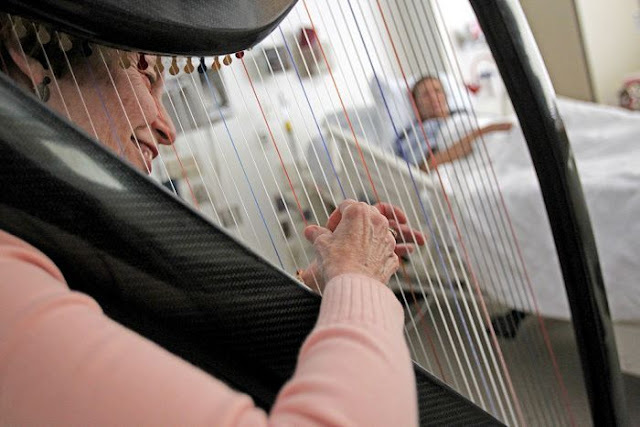 While music therapists are often seen in hospitals playing a familiar tune or piece of music, Roberts utilizes a more prescriptive process to bridge the gap between life and death. Listen to excerpts here.